A huge fire which destroyed six luxury apartments was started after a pensioner used a red hot paint stripper to defrost a freezer, sources claim. The 85-year-old is believed to have been blasted across a kitchen when the electrical appliance exploded at a property in affluent Thorntonhall on the edge of Glasgow, Scotland. He suffered smoke inhalation but was otherwise uninjured and police have said he won’t be charged. 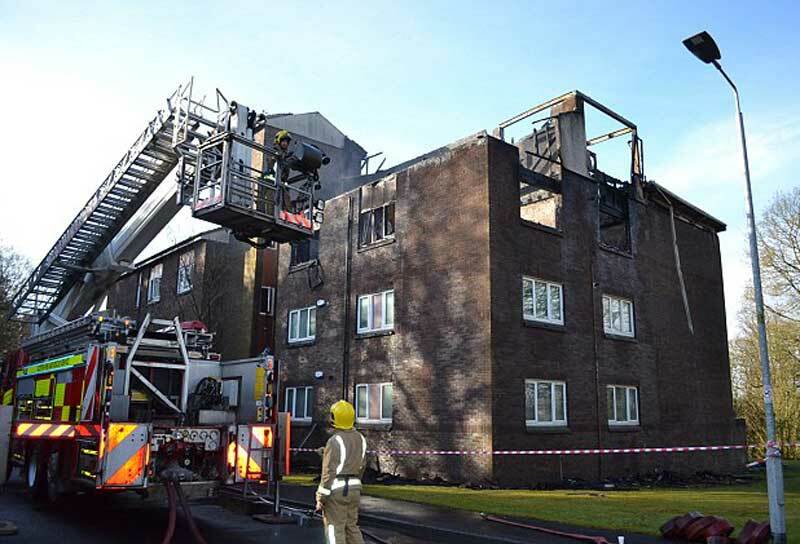 Residents at six flats, which can change hands for up to a quarter of a million pounds, had to be evacuated but they also avoided serious injury. 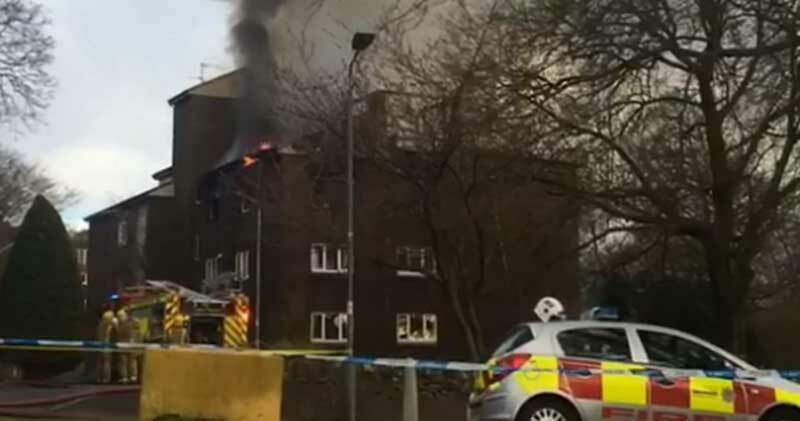 The Scottish Fire and Rescue Service sent eight fire fighters to the three-storey block when a “major fire” took hold, but they also had to flee amid fears the structure could collapse. It is understood the burned out building in the leafy South Lanarkshire village may now have to be completely demolished. The pensioner is understood to have been using a heat gun designed for removing paint and gloss from walls and doors. The device, which can be picked up at DIY stores for as little as £30, can reach temperatures in excess of 500 degrees Celsius. Safety guides advise users that they can cause highly flammable items to catch fire. Freezers often contain insulation which, when ignited, causes fires that spread quickly, giving off toxic gases. A source close to the investigation, who asked not to be named, said: “He was using a paint stripping device, which we would refer to as a heat gun, to defrost the freezer. There are components in fridge freezers which can explode. They are quite dangerous, particularly if certain devices are used to defrost them. He’s very, very fortunate to have escaped without serious injury. It was a major fire.” It understood it could be weeks before the insurance company makes a decision on the building but an insider at South Lanarkshire Council revealed it could be flattened.